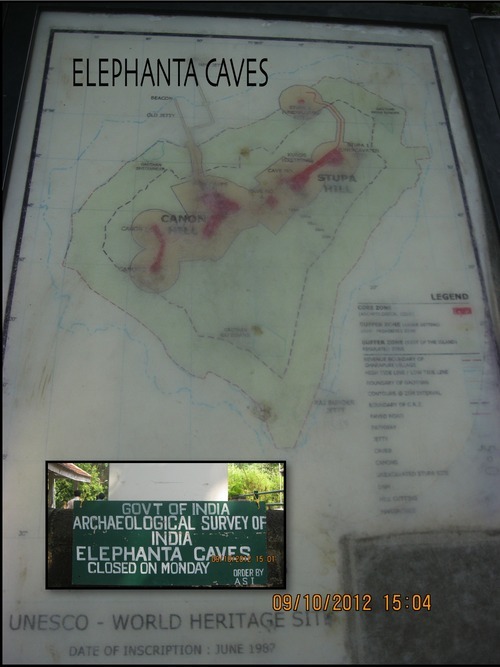 After Victoria Terminus next on my list was Elephanta Caves. 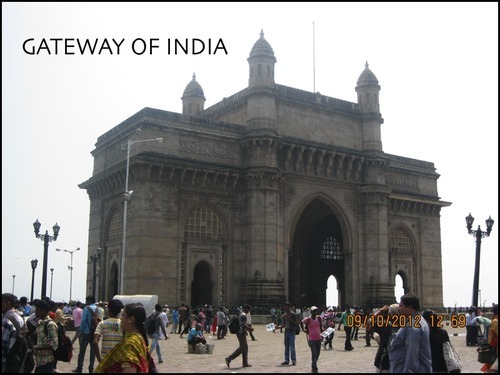 Took a shared cab from VT to Gateway of India.From there took a ferry to reach the Elephanta Caves. 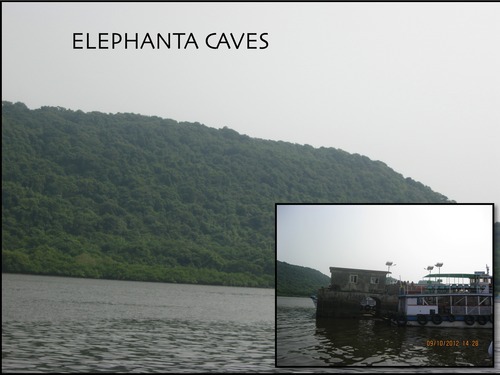 Elephanta Island is an hour away from Mumbai Harbour. The boat ride, itself, is interesting as you go past fishing boats, anchored ships, yachts and little islands. What is known about the island is that it once was the capital of powerful coastal kingdom. The Portuguese established fortifications and used the island for military exercises; as a consequence many sculptures were destroyed. 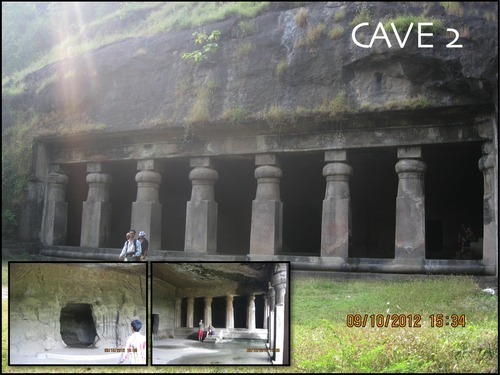 The island resembles twin hillocks rising from the sea and the caves are located halfway up the higher of the two. Carved out the solid basalt rock, the caves represent Mount Kailash, the heavenly mountain residence of Lord Shiva and date back to the 3rd or 5th centuries. 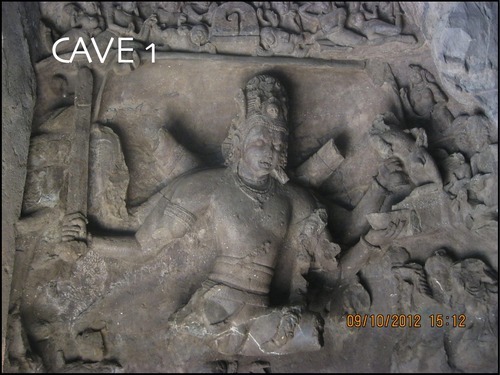 There are seven cave excavations in the Elephanta group and these are datable from circa 6th – 7th centuries A.D. 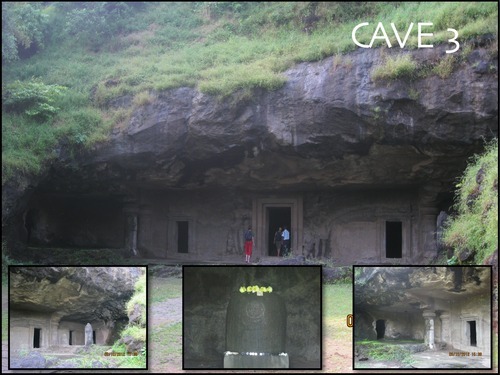 Among the cave excavations, the Cave 1 is the most impressive which represents the evolved Brahmanical rock-cut architecture. 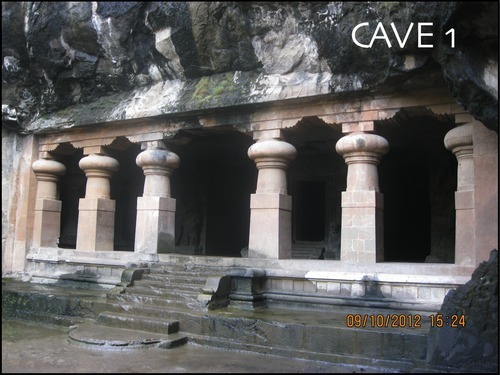 The entire cave complex area is constructed on 60000 square feet and consists of a main chamber, courtyards and several additional shrines. There is a mass of natural rock above the temple. The temple plan is designed in symmetry with the focal points worked out in a geometric Mandala, representing the cosmic field of energy. 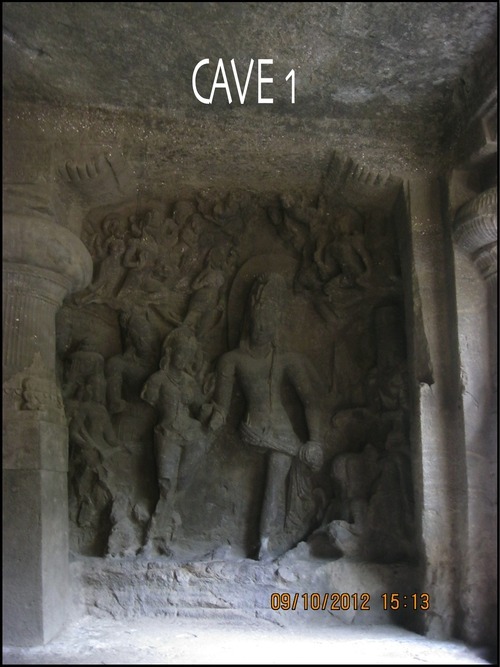 Inside the cave temple is a large hall, with nine sculptured panels depicting Lord Shiva in different moods as well as scenes from the life of Shiva. Little is known of the artists and architects who created these magnificent temples and sculptures out of sheer rock with the most primitive of tools. 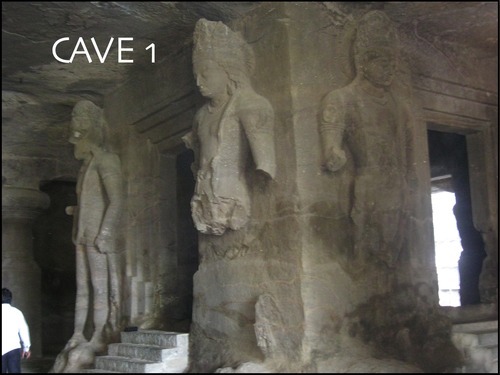 The rock cut temples were created by carving out rock and through the process of rock removal. One can easily walk through the corridors and chambers of the temple. Some of the rock surfaces are highly finished while some are untreated bare rock. Stopped at a nice restaurant,had some awesome Fish curry & steam Rice and headed back towards the Ferry. Back to Gateway of India then to VT and returned by local train. Here ends my first ever 11 day long trip.I was very glad that I could cover all the places planned according to my itinerary.Although I fell sick with the long journey from Jaipur to Vadodara,I some how managed to battle agianst the sickness with few antibiotics until I reached back to Hyderabad on the 12th day by a morning flight. 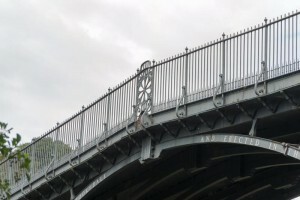 Timings: 9am – 5pm Closed on Mondays. Best Time : November to March. Summer months are very hot and humid and the monsoon season makes the hour long ride extremely turbulent. 1.Do take the toy train just for fun. 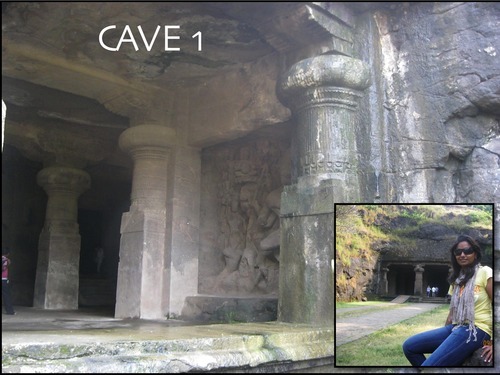 2.Go with proper footwear as it involves climbing a few steps to reach the caves. 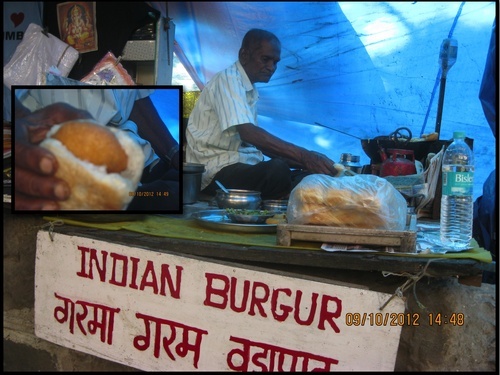 3.Don’t forget to munch some Indian Burgers-Vada Pav while climbing up. 4.Shop for souvinir’s or anything – generates revenue to the people on island – but do bargain. 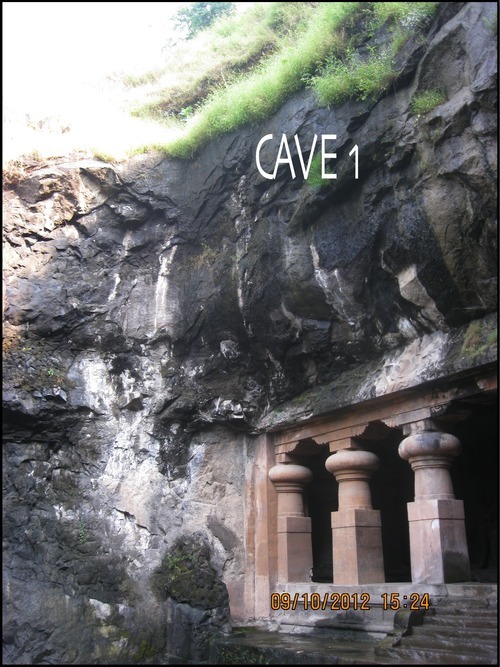 5.Just read about the Caves online or just buy small books rather than taking a Guide. Categories: Uncategorized. Tags: asia, Bharathi, Elephanta, gounesco, heritage, india, Jai Bharathi, Mumbai, travel, and world heritage travel.